Question 1 What is a magnet? Question 2 Define the term magnetic field? Question 3 Define magnetic force? 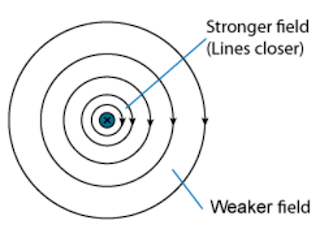 Question 4 What are magnetic lines of forces? 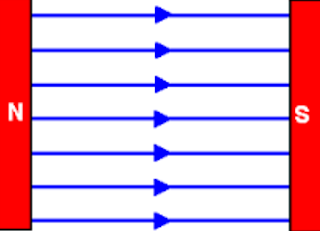 Question 5 What does very close field lines indicate? Question 6 Define uniform magnetic field? Question 7 Define non-uniform magnetic field? Question 8 Draw the pattern of field lines due to bar magnet? Question 9 Mention any two properties of magnetic field lines? A substance which attracts small pieces of iron and points in North-South direction when suspended freely is called Magnet. In 1819,Hans Christian Oersted,discovered a relationship between electricity and magnetism.When electric current is passed through circuit,the position of compass needle changes.Thus we can say that electricity and magnetism are linked to each other. When a bar magnet is suspended freely from its centre by a thread,one end of magnet points towards north of earth called North seeking pole or North pole and other end of magnet points toward south of earth called South seeking pole or south pole. 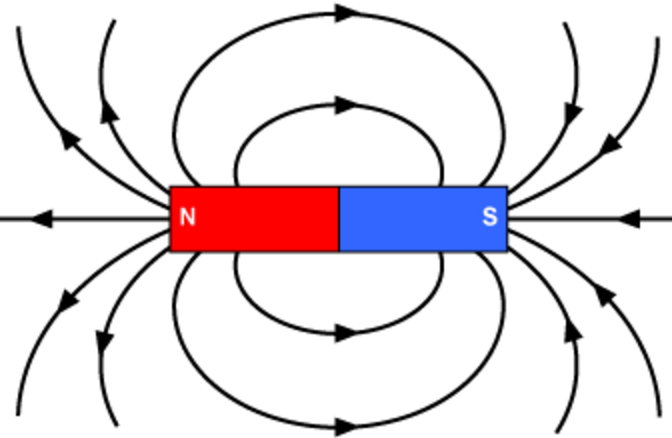 Like magnets Repel each other whereas unlike magnet attract each other. The force with which a magnetic pole of a magnet repel or attract another magnetic pole of another magnet is called magnetic force. The space or region around a magnet within which its influence can be felt by another magnet is called magnetic field. To locate the magnetic field of a bar magnet,we use iron filling or a magnetic compass. A magnetic field is represented by a series of lines around a magnet. The path along which north pole moves in a magnetic field is called magnetic lines of force or magnetic field line. They show the direction and strength of magnetic field. 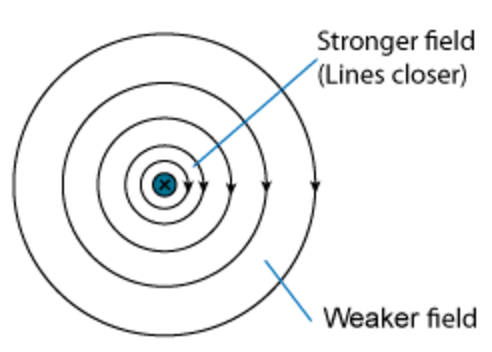 If magnetic field lines are very close to each other in a particular region,then the strength of magnetic field in that region,is very large. If magnetic field lines are far from each other in a particular region,then the strength of magnetic field in that region,is very small. 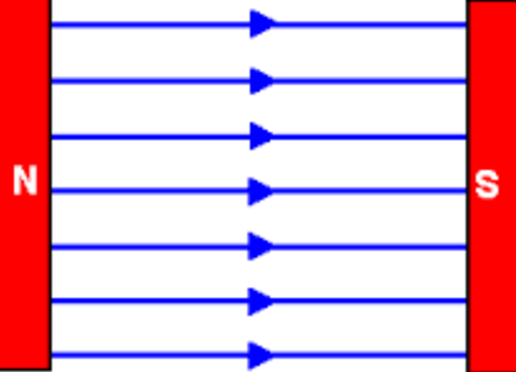 Magnetic field lines are closed continuos curves. 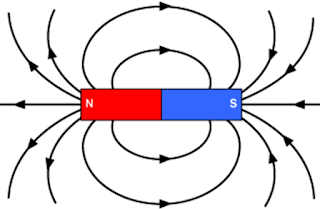 No 2 magnetic lines intersect each other. Magnetic field is uniform if its magnitude is equal and direction is same at every point in space. Magnetic fields is non-uniform if its magnitude is not equal and direction is not same every point in space. The direction of magnetic field is taken to be the direction in which a north pole of compass needle move inside it. Magnetic field lines emerges from North pole and enter the magnet at south pole.Inside the magnet direction of field line is from south pole to north pole. very useful contentent for cbse students plus neat and clean layout of the website.